Maine is not synonymous with shorebirds for me -- as most of our experiences in coastal Maine, since moving to Massachusetts, have been in Acadia. 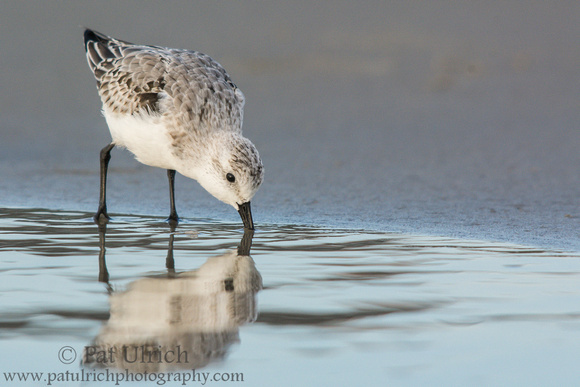 While there are probably shorebirds around that area at certain times of year, I haven't had the pleasure of seeing any on our summer trips. This fall we took a short weekend trip to southern Maine, and a priority goal was to hit the beach at sunrise to search for some peeps. I checked the eBird recent sightings, and judged that Ogunquit Beach would likely be my best chance. It just so happened that we traveled there during "OgunquitFest" weekend, and I was surprised at how many other folks were out strolling the beach for the sunrise. I can't blame anyone for ever wanting to enjoy the sun rising over the water, but the density of people out early on the beach meant that my chance to encounter a friendly flock of sandpipers had greatly decreased. It was a still a delight to take a long morning stroll through the exposed sands of a low tide, but not a single shorebird was out along the way. My luck turned though as I made my final approach back to the parking lot. 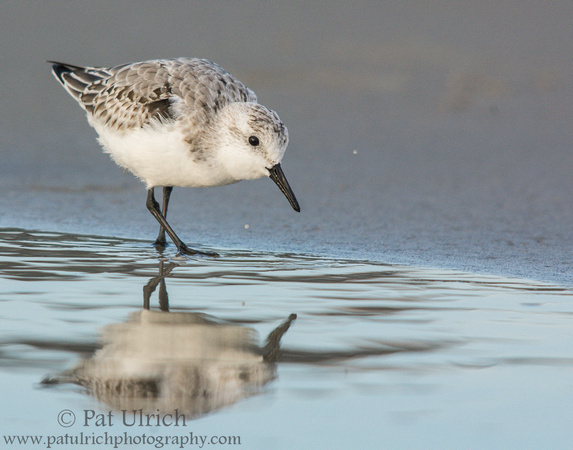 Down at the far end of the beach (in the opposite direction of how I walked) was a small flock of maybe 50 sanderlings. Even though the good light had faded, I wasn't about to pass up my first chance in months to share space with some shorebirds. The direction of the beach made getting a good angle tough, and the light was only reasonable when I cloud passed over the sun, but it was fantastic to hear their exuberant peeping as they probed the sand being covered by the rising tide. 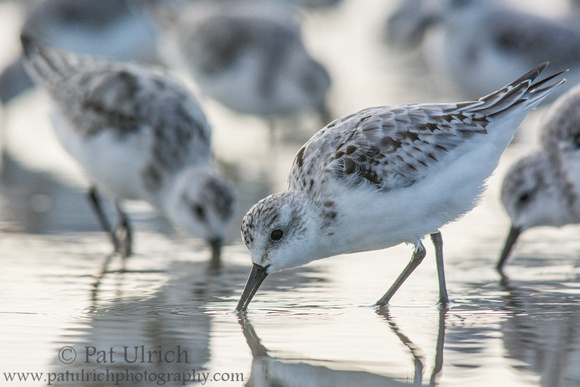 With less than ideal conditions, including having to put the rising tide at my back, I didn't fully commit to a true eye-level view of the birds -- which has been my preferred technique over the last few years. Keeping my camera on the ballhead a few inches above the ground worked out reasonably well though when they approached the saturated sand, giving me the chance to capture some reflections. Even if I didn't come away with any portfolio level images, it was still fun to add a new state to my shorebird catalog.